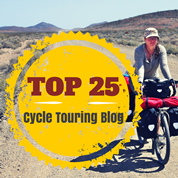 We first discovered Emma and Justin through the Travelling Two’s Touring En-CYCLO-pedia. Planning on cycling through 2012, and currently waiting out the winter in Istanbul, we particularly enjoy their “Where We Sleep” slideshow on their website, Rolling Tales. We’re two New Zealanders who are slowly heading home after six years in London. 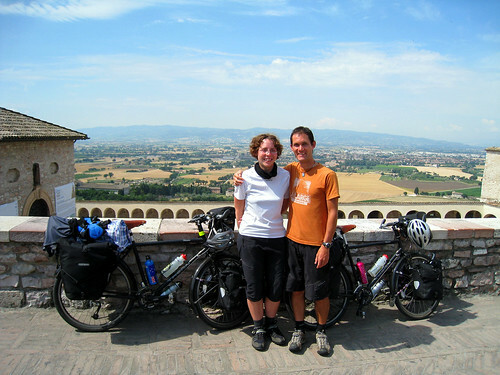 In the first six months of our bicycle tour we took a wiggly line through Spain, France, Italy, Croatia, Bosnia, Serbia, Bulgaria and half of Turkey before returning to Istanbul where we are basing ourselves until April 2011. The next part of our trip will take us along the Black Sea coast in Turkey, through Russia, Mongolia, China and South East Asia. We have done almost 9000 kilometres on this trip to date and expect to do another 20,000 before we get home. 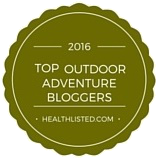 Our blog at www.rolling-tales.com shows our route to date, planned route and reader suggestions. We had spent six years working in London and had travelled in quite a few other countries over this period but never for more than a few weeks at a time. The list of places we wanted to visit seemed to grow longer sowing the seeds of making an extended trip as part of our return home to New Zealand. Cycle touring stood out as an affordable and environmentally friendly way to see a little more of the world. Travelling by bicycle we would be self-sufficient, flexible and importantly able to eat whatever we wanted on the road! Somewhere between two years and six months. Our route dreaming, serious saving and planning began two years before we left, serious research into gear started about one year out to take advantage of seasonal sales and we started writing loads of to-do lists in the last six months. We didn’t really have any big fears – we felt we had prepared as much as we could and hoped we would cope with most things thrown our way on the road. We’re glad that most countries we’ve cycled in to date have had considerate drivers and are slightly apprehensive about the unpaved roads and sandstorms which it is likely we’ll be navigating through in Mongolia. Figuring out time frames and routes was our biggest challenge. Both elements grew and shrunk a number of times before we settled on a two year time frame and a goal of traversing some of Europe and Asia. Even with that fixed it seems like we are consistently making compromises about what parts of this landmass we will visit and which ones will have to wait until our next trip. The first snow covered mountain pass we climbed in Spain was also our first ever mountain pass so felt like a monumental achievement. We had ventured into the Picos de Europa national park without adequate food and hadn’t really anticipated how much effort climbing from near sea level to 1600 metres would entail. We made slow progress and had frequent snack stops from our emergency provisions as we climbed to the pass. There was hardly any traffic on the road and few shops open for further provisions. We stopped at a high altitude picnic area for a final snack of bread and jam before a breathtaking and finger numbing descent. I think it was on this day that we realised we could easily get addicted to hill climbing. We pushed a lot of things to the limit in our last few weeks of cycling in Turkey. Our tyres were wearing thin which meant our puncture tally was sky rocketing and Justin had a stomach bug which he was trying to cycle through. Consequently both our tempers had a shorter wick than usual. One of the worst moments? Justin’s inner tube punctured for the second time in one day leaving a thumbtack sized hole in the tyre. While we stopped to fix the tyre we thought that a non-essential tool had been left at an earlier repair stop and our tempers flared as we argued about who would be the saint that would return to pick it up before realising that the tool was still in a bag. With fast disintegrating tyres and a pump which was wearing out due to overuse we wondered if we should just hitch a lift. Of course, as these things tend to pan out, the following days cycling was one of the most spectacular of the trip. Being on the road has only changed us in little ways – I think we are a little more familiar with what changes our moods, we go slower and appreciate the individual moments that make up a day. We’re both more open to invitation and more trusting of our instincts in unfamiliar situations. Once we were on the road we quickly realized how privileged we are to travel for as long as we could and without massive restrictions on where we could travel. While travelling by bicycle is cheaper than many other forms of travel it is still something that people in many countries can’t even contemplate. Even before this trip we only had one room in a shared flat and kept belongings to a minimum so we don’t think that our attitude towards material things has changed significantly. We have had to learn that cycle touring is rough on all kit and a number of gear failures and breakages have made us aware about how vital gear research is to your trip. Other than “just do it”, what one bit of practical advice would you offer to someone who is dreaming of touring/travelling? 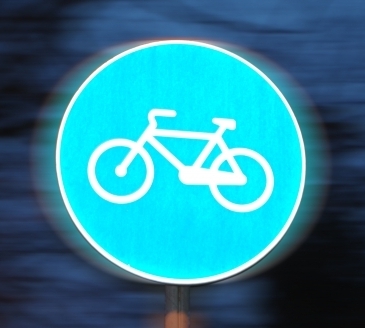 Don’t just buy your bike and set off – you may need to tweak the seat and handlebars until it fits you well. A badly adjusted bicycle forced Emma off her bicycle for a month while waiting for a wrist injury to heal.